A patent is a federal right that allows the owner to exclude others from making, using, selling or importing the claimed invention. In exchange for disclosing an invention, the inventor is granted a time-limited monopoly. Utility patent: A utility patent is directed to any new and useful machine, process, product or to the composition of matter. A utility patent is the most common type of patent and provides the broadest protection. Design patent: A design patent refers to the appearance of a product. This type of intellectual property includes the shape or surface ornamentation of a new and useful product. Design patents can play an essential role in establishing a form of trademark protection known as trade dress. Plant patent: A plant patent is directed to a distinct and new variety of a plant and is less common than the other patents. To qualify for this type of patent, the plant must be discovered and asexually reproduced where the plant is genetically identical to the parent plant. The USPTO is an agency within the federal branch of the Department of Commerce. The department employs many patent examiners who examine and issue patents and trademarks. The USPTO’s headquarters is in Alexandria, Virginia, near Washington D.C., with regional offices across the country. One of the office's primary duties is to handle all domestic and global aspects of intellectual property. The goal of the office is to monitor and encourage technological and industrial progress to strengthen the economy. Information regarding all of the patents that have been issued is public record and can be found at www.uspto.gov. Any invention that is useful, new and nonobvious that is put into an actual embodiment of some kind can be patented. A lot of things can be useful, but what does it mean to be new and nonobvious? For it to be considered new, the invention must have never been done before in the exact way it is presented. To understand nonobviousness, it is easier to understand what is considered obvious. Obviousness is present when the “differences between the subject matter sought to be patented and the prior art are such that the subject matter as a whole would have been obvious at the time the invention was made to a person having ordinary skill in the art to which said subject matter pertains.” This means although the advancement is new, the invention is not significantly different enough to warrant a patent in the eyes of the Patent Office. Some things can’t be patented. Examples would be mathematical formulas, scientific laws, natural phenomenon and other abstract ideas. The patent process begins with getting a clear idea of what the invention is, how it’s made, how it’s used and how it is different from other inventions. There are many ways to proceed when you decide to file. One option is to have a patent search done. A patent search is a way of determining if others had disclosed your invention before you did. 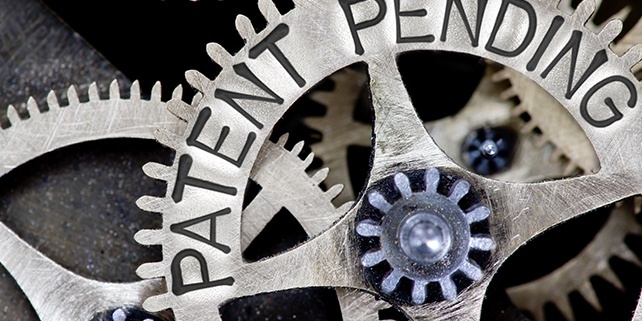 The value of a patent search is that if there is a potential problem, the problem is identified before you spend a lot of time and money on a patent application. The next step is to decide whether you want to file a provisional or nonprovisional patent. A provisional patent application is an informal application that establishes a filing date and gives you up to a year to develop and commercialize your invention. A provisional also spreads the cost of an application out over time. To continue with the patent process, you will need to file a nonprovisional patent application within a year. Alternatively, you can start by having a nonprovisional patent application drafted. This is a formal application that starts the process in the Patent Office. While it is possible for you to draft your own application, many rules and procedures must be followed. A patent attorney who is familiar with these rules will be able to draft it for you accordingly. Further, an experienced patent attorney will have developed a vocabulary and writing style that won’t inadvertently limit the scope of your invention. Typically, a patent lasts 20 years from the date of filing a nonprovisional patent application or 14 years for a design patent. The patent term can be extended to adjust for delays caused by the U.S. Patent Office during the prosecution of a patent application. There are also periodic maintenance fees that must be paid to keep your patent active.